Some of our readers may be aware of our efforts in Dublin to sell Dutch delivery bicycles. While we have gotten very positive responses to our Dutch delivery bicycles, Dubliners still need a bit of time to get used to the idea. 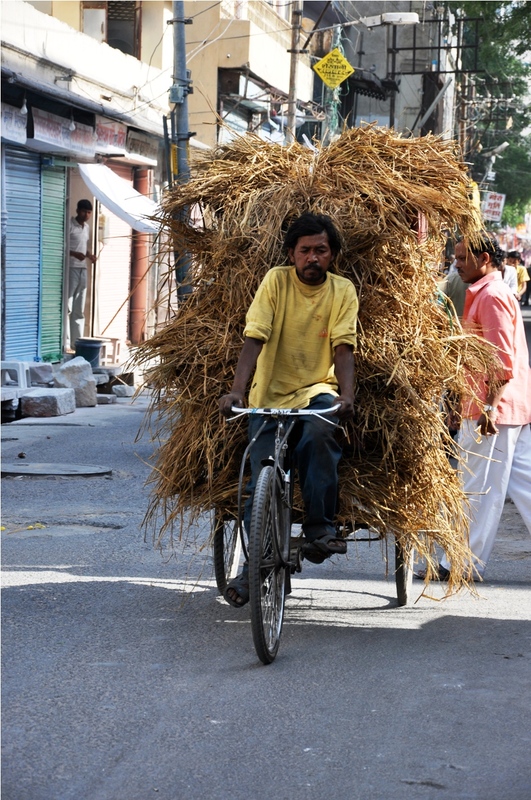 Looking at the pictures my friend Aude took in India, makes me think people there would need less time. 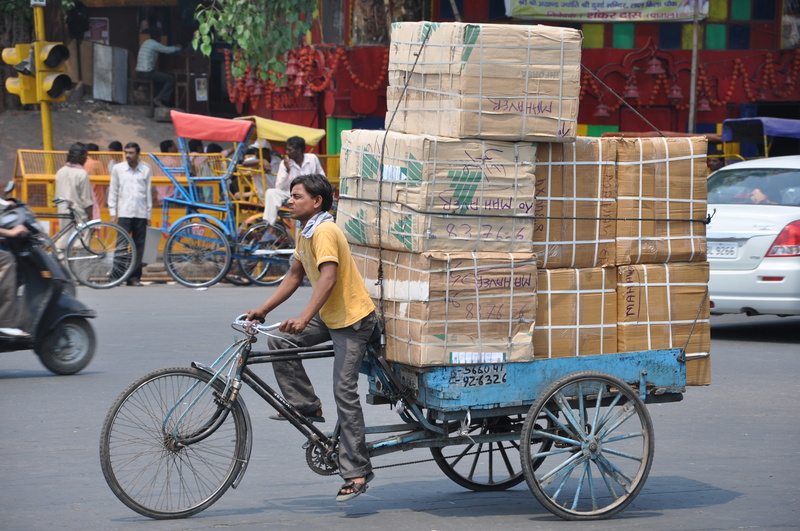 The Indians have identified transport and delivery options for bikes even the Dutch have never dreamt of. 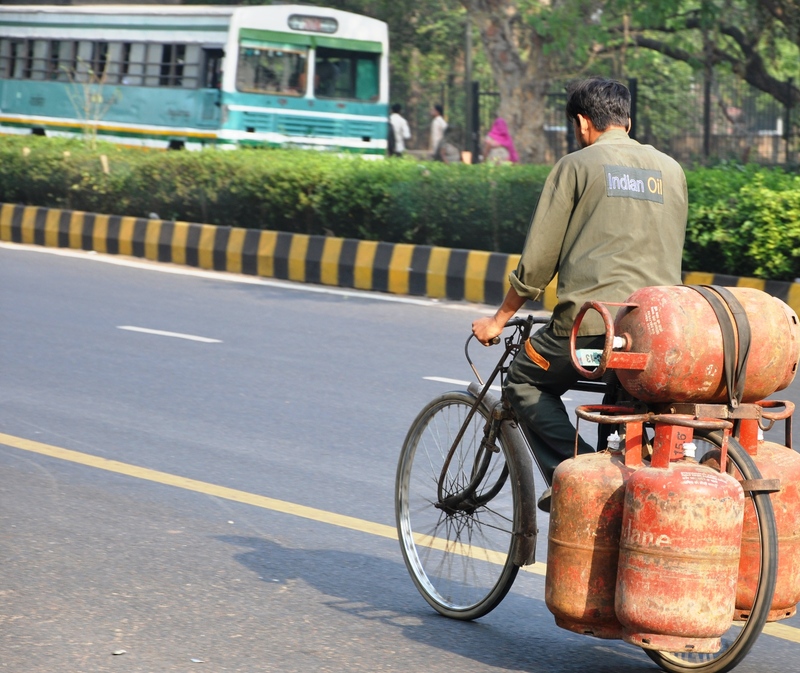 Even the Indian Oil company seems to use bikes for transport, rather than machines running on oil. My friends, Aude and Willem, have been travelling through Asia for 5 months. Upon their return, they brought me a present: pictures of cyclists in India, Birma, Cambodia, Laos and China. To show how the Dutch claim to cycling fame is tenuous. The pictures have hit a spot – in a good way. Over the course of the coming weeks, I’m sharing the pictures with you. I am curious to hear your thoughts. Have you been to Asia? 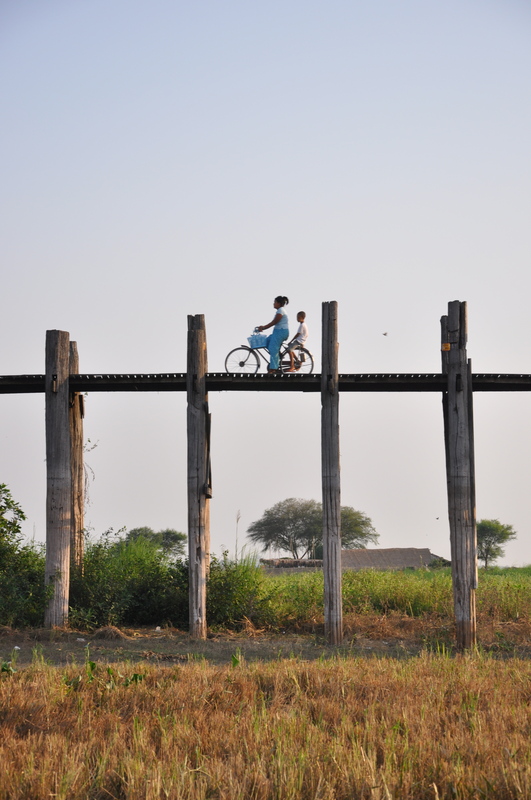 And do we need to replace the Dutch and Danish bike ambassadors with Cambodian or Chinese? Do not hesitate to drop me a line, via the comments section below. This picture, number 1 of 60, was taken in Birma.